On Sunday some friends from the office showed me around some places near(ish) Bangalore. First up was Keshava Temple at Somanathapur. 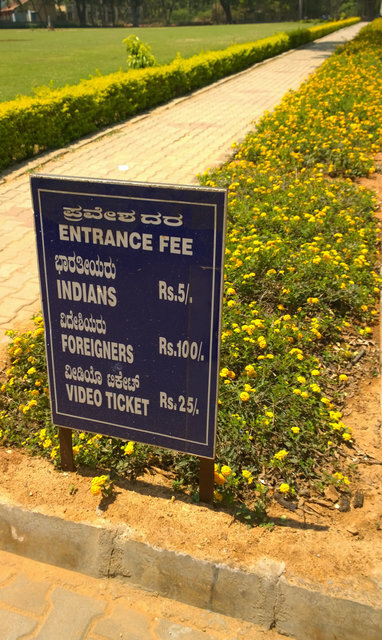 The price difference for foreigners was pretty steep, but it's still like $1.60, and I assume taxes pay for upkeep so it seems fair.